My junk drawer needed some attention recently, which tends to happen every year or so... I purchased some containers to organize the various random things that live in the junk drawer and when I went to organize the drawer, I timed myself. I figured if it took me an hour, I could title the post as such. But it only took me 30 minutes!! 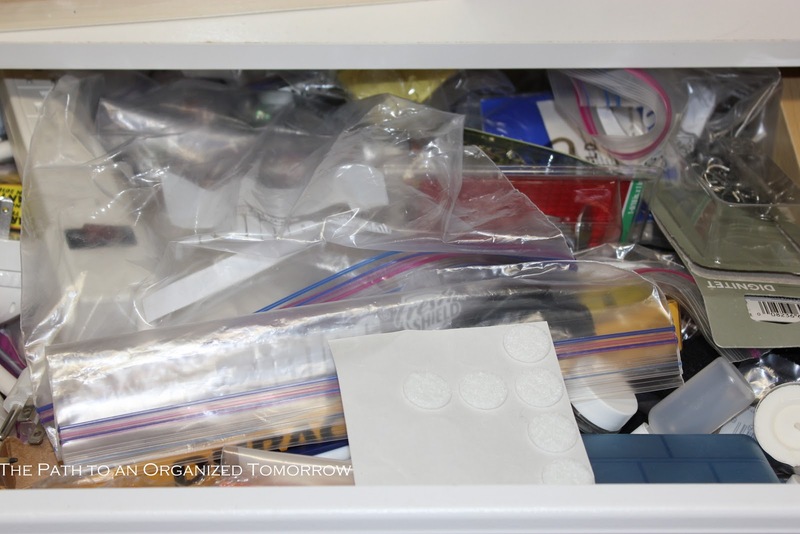 It is important to have an idea of what you'd like to have in the "junk drawer", which seems to be so named because it holds random stuff that doesn't obviously go together, but doesn't really go anywhere else in particular. 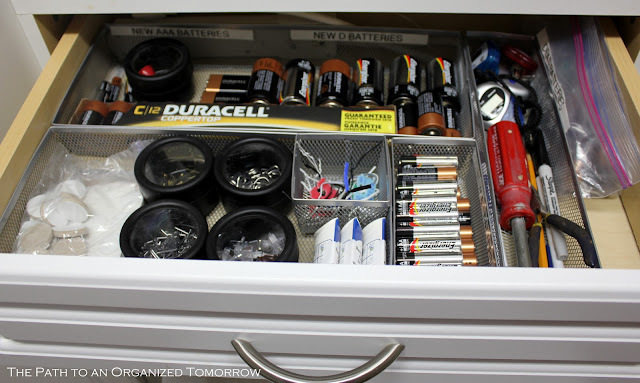 For me, the main purpose of the junk drawer is to house the batteries as well as a couple of tools and basic hardware (nails and picture hooks) I like to have at-the-ready without having to go to the husband's garage. 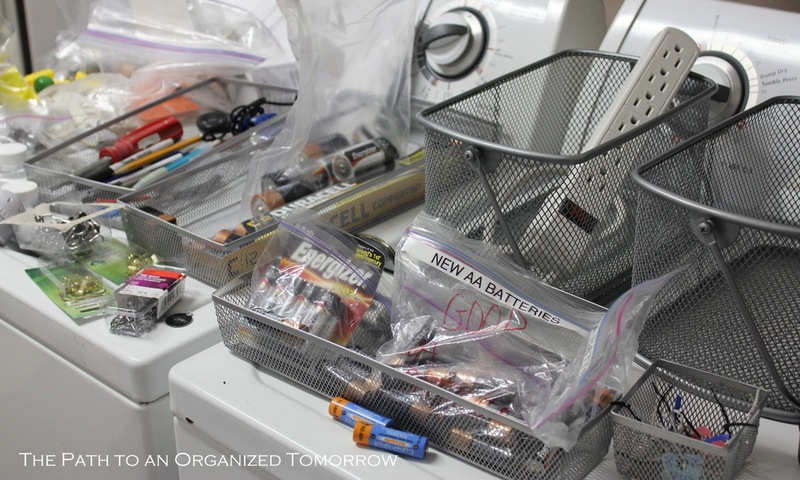 I like to keep the batteries well organized so I can easily get an inventory of what I might need to purchase rather than run out of a particular size. I took each item out of the drawer and decided what to do with it. I sorted all of the items on the surface of my washer and dryer. I had too much stuff in the junk drawer, since that is the go-to spot for things with which I'm not sure what to do. Items that really belonged in the garage made their way into a basket destined for the garage. Hardware that had been in its original packaging went into some magnetic tins I no longer use for embellishments. It is amazing how much space packaging takes up! I also corralled all the twist-ties and bread clips in one spot here to be re-used (and no longer sitting on my kitchen window sill). 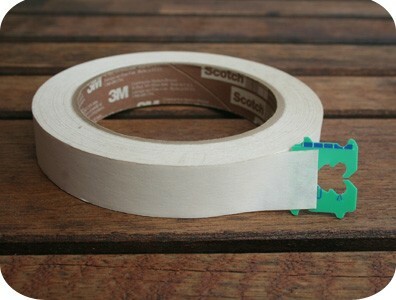 As an aside, I now save the bread clips for use with all my rolls of tape. isn't this a great idea? Love pinterest!! I played with the placement of the items in the mesh organizers until I had an arrangement I liked. 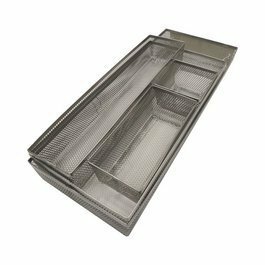 Then I put the organizers in the drawer, redistributed the things that hadn't belonged in the drawer, and took out the trash/recycling. And voila! An organized junk drawer in 30 minutes! What do you keep in your junk drawer? How do you organize it?